In the early part of this decade, Kings Of Convenience delighted many with their beautifully subtle music. Five years on from their last album, the time was obviously not spent on complex arrangements. The Kings Of Convenience oeuvre remains an uncomplicated affair with the duo of Erlend Oye and Eirik Glambek Bøe relying mainly on acoustic guitars, their own harmonies and what can only be described as good old-fashioned songwriting. As with their previous records, ‘Declaration Of Dependence’ only begins to take shape after a few listens. 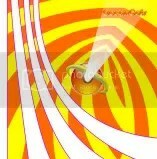 On first hearing, the music sounds merely pleasant then it moves the mildly interesting to the really rather beguiling. Initially light songs such as ‘Me In You’ reveal a tapestry of intricate chords reminiscent of the very early years of Everything But The Girl whilst ‘Renegade’ and ‘My Ship Isn’t Pretty’ form an airy, melancholic middle section. However, no matter how many times I listened to the likes of ‘Rule My World’ or ‘Peacetime Resistance’ (to pick out just a couple of indifferent tracks) it was hard to recall them an hour later. 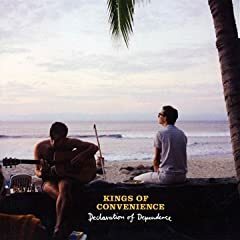 It may appear harsh to criticise Kings Of Convenience for not maintaining the form of their previous two releases but they set such high standards that a tinge of disappointment is inevitable. Yet even if their simple formula of indie-folk shows signs of drying up, there’s enough good songs here to accompany rainy weekends for a while yet. After his recent ‘Gamma’ album, Tommi Bass proved that he could still make techno music sound vital and intelligent even as he enters the “veteran” years. His latest release takes a similar bass-heavy and minimalist approach but augments it with sounds from Berlin, the city he now calls home. Typically, tracks are numbered. ‘Bronze 1’ sets the scene in the familiar unsettling atmospheres featured in ‘Gamma’ but with the added Berlin recordings, they are given further chill factor. ‘Bronze 2’ is based around what sounds like an 80’s arcade game loop and seems to vary little but its click-clack rhythms and air of doom resemble a very sinister version of Kraftwerk. The track segues into ‘Bronze 3’ which includes more frequent punctuations of industrial noise, handclaps, vocal samples and some seriously bowel-shifting beats. At only eighteen minutes in length, ‘Textures From Berlin’ is too short to really be appreciated. Yet in its limited timespan, its depiction of Berlin is nightmarish, exciting and beguiling all at once. Light Of Words are a new five-piece band from Bristol who offer a new angle on the hand-wringing indie rock subgenre that has filled up the airwaves since the appearance of Coldplay. Their songs are given great warmth and charisma by the gravelly whisper of frontman Chris Dean. The album begins delicately enough, courtesy of the acoustic melancholia of opener ‘Trip Up’. However, it soon becomes clear that Light Of Words have a penchant for slow-building epics in the same vein as Snow Patrol (‘A Sound Will Guide You’, So Calm Now’ and ”Too Soon’). Yet the songs don’t fall under the weight of the big build-up and thanks to Dean’s unique vocals they retain an individuality too. Good though these moments are, they really achieve their peak on the terrific ‘Snowfall’, which sees the band align their sadness-tinged music with a thrilling post-rock storm of guitars. Similarly, the nine minute long ‘One More’ reveals even more depth and its deviation in to progressive territories whilst still retaining an emotional edge make it another standout moment. ‘Those Left Behind’ is a fine soundtrack to the onset of the coldest season with Dean’s tender tones providing the comforting words to keep away the wintry chills. Whilst it has plenty of commercial potential though, the Bristol band have achieved a level of subtlety to ensure they don’t fall into the levels of shallowness, which undermines the work of so many of their contemporaries. It will be of little surprise that with a name like Collapse Under The Empire, this Hamburg duo are an instrumental post rock act. They even describe their album as “a soundtrack for the apocalypse without a happy end”. In truth, that’s a little deceptive as much of ‘Find A Place To Be Safe’ sounds triumphant and confident. ‘Captured Moments’ is a satisfying opener with guitar melodies meshed together loudly but without being over the top. ‘Crawling’ finds even more space, at least intially, before exploding (possibly in the sky). Elsewhere, the title track treads the well-worn descriptions of sprawling and epic atmospheres and a couple of the later tracks have cinematic qualities but make the listener feel slightly empty afterwards. Their music is generally saved from cliché, though, thanks to some subtle ambient touches. To this end, complex electronica and time signatures are at the heart of album highlights ‘Angle Of Incidence’ and the relentless ‘Decay’. It has to be said, Collapse Under The Empire notch up an almighty noise considering they are only a two-piece. Yet whilst they never come close to blazing a trail for a new generation of post rockers, they have produced an album which is consistently dramatic and stirring. It’s fair to say that musicians seek inspiration for songwriting from difficult times in their lives. The hardest part is to to make it palatable for the listeners. In the case of Scotland’s The Twilight Sad, their approach is unflinching and gritty; tackling child abuse, prostitution and bullying and setting the themes to thrilling arrangements, which are emotionally driven but not obvious enough to be described as anthemic. In alignment with the troubling subject matter, ‘Forget The Night Ahead’ begins with some foreboding percussion and a squawl of feedback. Whereas their compatriots Glasvegas translate difficult childhoods to the masses, The Twilight Sad’s message is more mysterious and therefore more sinister. Key lines stick out such as “It’s a sorry affair, we’re on a hiding to nowhere” (from the stunning ‘Seven Years Of Letters’) or “You were seen in the cherry tree. Look what you have done” (from the equally brilliant and disturbing ‘The Room’). These words could mean any number of things and The Twilight Sad leave it to our imagination to interpret them however they wish. Not everything works so well this time around. ‘That Birthday Present’, for instance, is buried under a post-rock storm and although each track packs plenty of drama, they’re not always accompanied by the driving hook which is the key element to the majority of their best material. Still, the desolate piano accompanying ‘At The Burnside’ is a reminder that they can deliver haunting subtlety. A pity that the message is diluted by a barrage of drums, though. ‘Forget The Night Ahead’, for me, falls a little short of the high standards set by their debut album but then their Mogwai vs Kitchens Of Distinction sound had the advantage of shock value first time around. This time it’s easier to be prepared for what’s in store but the results still pack equal shots of power and despair in to a form of musical euphoria. Colombian-born Alejandra Pedraza and American Christopher Orcutt make an intriguing duo. Infusing their punk music with Latin influences, their self-titled debut is primitive yet involving and inventive too. In Pedraza, OceanCats have a very strong focal point. Rather like similarly dominant frontwomen such as Karen O, enjoyment of their material will depend largely on your tolerance of Pedraza’s vocals. On ‘Closer To Me’ in particular, Pedraza sometimes echoes the excitable attitude of Clare Grogan on those early, punky Altered Images singles. Songs can verge towards the simplistic – witness the duo “ooh ah”-ing through ‘One Hour Late’ – with Orcutt’s crisp drumming and Pedraza’s sludgy bass the other constants across the album. Yet they can also be very distinctive. ‘Angel’ recalls the tribal rhythms of Siouxsie spin-off The Creatures and a couple of Spanish language songs add welcome colour and variety to proceedings. The six minutes of ‘Guns’ is arguably their crowning moment, though, with their intense post-punk concluded by some weird electronica. OceanCats clearly pride themselves on their sound and take great pains to point out that the album was recorded on an analog tape machine. Yet it’s when they deviate from their chugging punk-rock formula that they really begin to stand out. As one half of The Static Silence, Matt Bartram represents the lighter side of shoegazing with the emphasis on songs rather than effects. As a solo artist, though, Bartram reveals a very different side to the story with his music knee deep in layers of noise. Or is it really as different as he’d have us believe? ‘Keep Behind The Light’ recalls Jesus And Mary Chain on a budget and is one of the few songs that doesn’t require you to burrow your way through the multiple layers to find the core melody. ‘Visions Pt. 1’, on the other hand, drifts into hypnotic, ambient territory and neatly ushers in ‘Pylon’, the track which finds Bartram at his most compelling as his chilling vocal casts a haunting cloud over the insistent drone. ‘Twelve String Loop’ (featuring ex-Slowdive member Christian Savill) is equally involving as its steadily shifting soundscapes draw you in to the submerged tune and if you peeled back ‘Shadows’ to reveal its centre, you’d probably find a Brit-pop anthem fighting to get out. Make no mistake, ‘Left To Memory’ requires time and patience to absorb all its noises. Yet it eventually yields rewards and ultimately you’re left with the essence of popular music. Not exactly original then but quite clever, really.